After working in the private business sector for more than 30 years, Master of Disaster Resilience and Sustainable Development student, Willow Forsyth, said she welcomed the opportunity to diversify her skill set at a world class university. “I’ve always been interested in learning more about sustainable development but I decided if I was going to do it, I wanted to do it with the best possible knowledge,” Ms Forsyth said. Students enrolled in the two year course learn how to implement the UN sustainable development goals, develop strategies to avoid disasters, and further their understanding of resilience and sustainable development principles. Ms Forsyth’s postgraduate study has not only ignited a new passion and career path, but also allowed her to contribute meaningfully to local organisations. 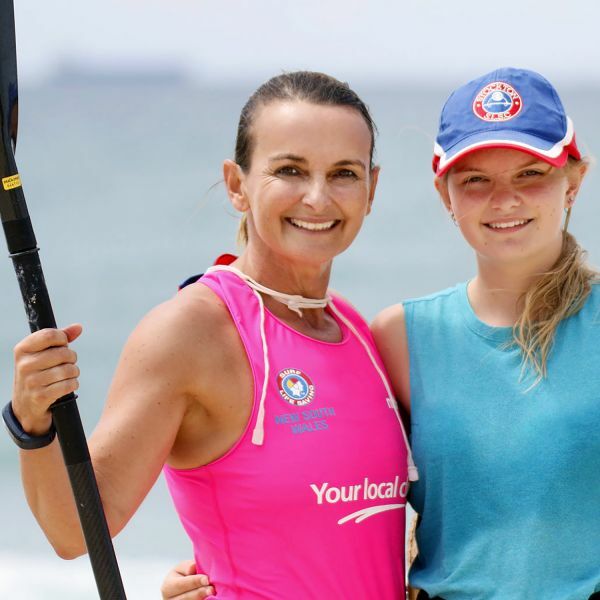 In her volunteer role as Vice-President of Stockton Surf Lifesaving Club, Ms Forsyth is applying her knowledge to create community impact by lobbying for surf lifesaving clubs to become disaster refuges. “There is an opportunity for the physical space of surf clubs to be utilised in a refuge capacity, so that the coastline offers a number of community-trusted spaces for victims of disaster,” Ms Forsyth said. Reflecting on her University experience, Ms Forsyth said it was the exceptional knowledge of her lecturers who made the course truly valuable and inspiring. “They were incredibly supportive of the learning environment and encouraged collaborative debate to drive the conversation forward to deepen both their understanding and our own understanding,” Ms Forsyth said. With many opportunities on the horizon, Ms Forsyth is eager to continue growing the synergies between her study, volunteering and career. “I would love to be part of the regional development story of the Newcastle region, applying my expertise either at a local or state government level, or building my own consultancy practice,” Ms Forsyth said. Ms Forsyth will graduate in a ceremony on Thursday 27 September at 10am.